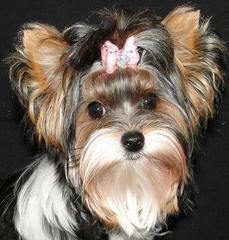 At Pure Delight Biewers I am a hobby/show/companion breeder, with Health at the foremost importance. 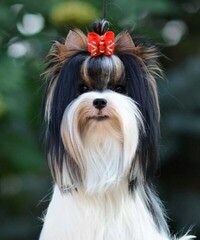 I breed only structurally sound, bile acid tested, DNA tested, Championed adult dogs. 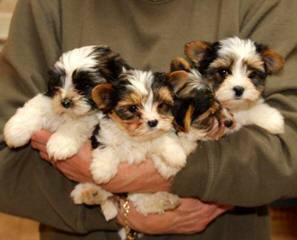 Our puppies are well socialized and come with a health guarantee. 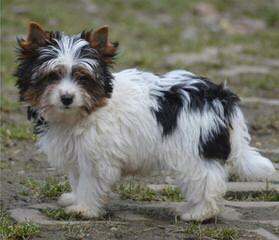 My goal is breed healthy, happy, well socialized, companions, for the right loving forever pet home. 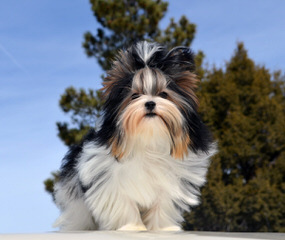 I’m a small hobby breeder, specializing in Yorkshire Terrier and Biewer Terriers and all of our dogs are raised in our home under our feet as they ARE our family. They are very well socialized being raised among other family members including young child. We strive to raise healthy, happy, beautiful, affectionate and best quality possible that gets better with each generation to come puppies. All our parents have DNA tests done and we offer health guarantees for our little ones. 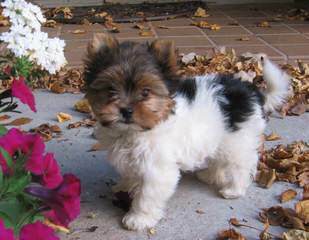 Since all our moms and dads are multi-generational yorkies on a smaller scale, all our dogs do not exceed 5 lbs at maturity. 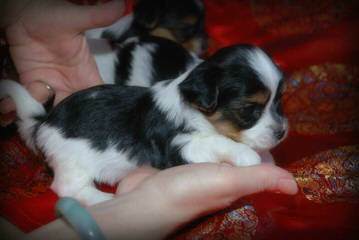 Most of our litters reach 4 lbs on average. Sometimes we get them as small as 3 lbs and less. but we do not breed for that size on purpose. 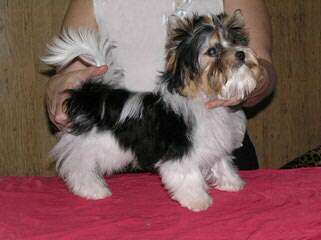 Our moms and dads are European imports from best lines possibly with many champions in their bloodlines. ​If you are looking for that special really tiny/teacup/babydoll face, or whatever you want to call them, puppy to fill your heart and family, just email me. Rocky Mountain Biewer Terriers is located at the National San Juan Forest, near the beautiful little town Dolores in Colorado. We raise our dogs on our little ranch and they live with us in our beautiful log home and enjoy 12 acres space of grass, trails, hills and fresh Colorado Country air. 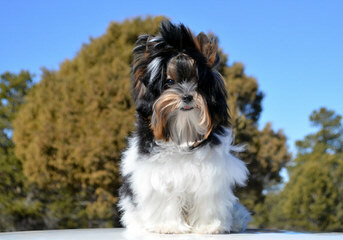 All our Standard Biewer Terriers and Chocolate Biewer Terriers are DNA tested and AKC registered. 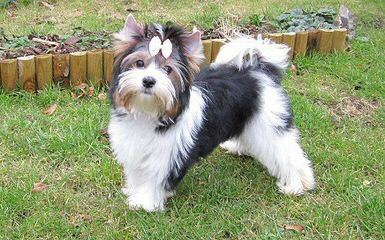 Most of our dogs are imported from European Champion lines. 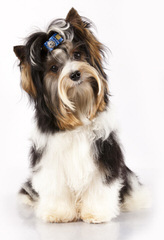 We are a member of the Biewer Terrier Club of America (BTCA) and are USDA and state licensed. 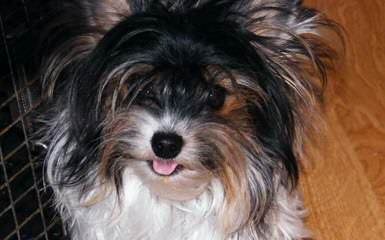 I am a registered breeder of the exquisite Biewer Yorkshire Terrier. I breed for structure and soundness as well as beauty. They are part of my family and have the run of my house…or should I say they run the household. 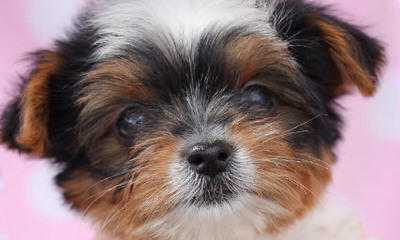 These delightful little dogs will be your best friend and are willing to go on any adventure. 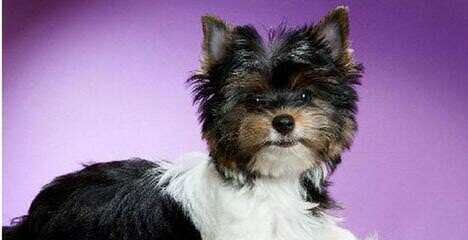 Biewers are wonderful companion dogs and I breed them so I can share them with you. 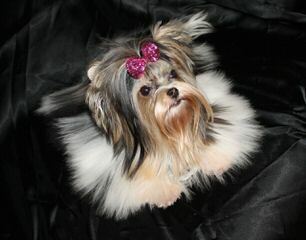 Top quality Golddust, Biewer, and Traditional Yorkies. …I am not a kennel, my dogs are pets first and it is my goal to produce only quality puppies that are healthy, socialized, outstanding examples of the breed. I have only a couple of litters a year and all babies are raised in my living room with the family. 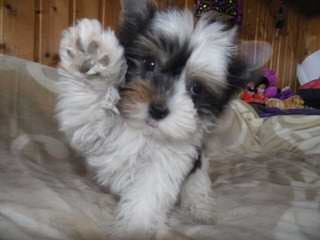 Occasional pet and show puppies. Excellence in Conformation, Health and Temperament. Producing Top Prestigious Champion Lines. 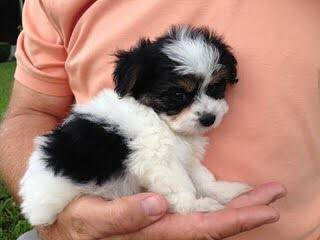 I am a small in-home breeder dedicated to producing beautiful, healthy puppies with sound and loving temperments. Small hobby breeder in NC with the most beautiful Biewer ala Pom Pons. 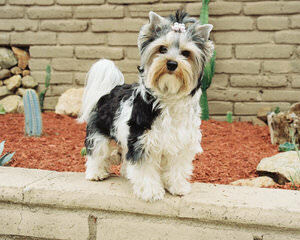 All the Dogs at Sugar Babies are considered family and they are loved, adored and pampered. Every need is met! Our Sugar Babies are in house raised with lots of love and attention. 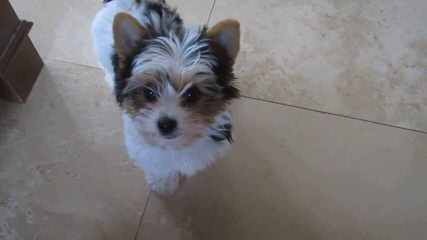 We breed Biewer to Biewer ONLY and all pups will be health tested and registered with the Biewer Breed International Registry (BBIR). 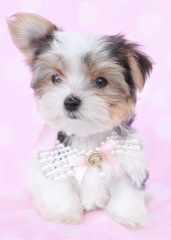 Sugar Baby Biewers website will provide photos and videos, check for upcoming litters. 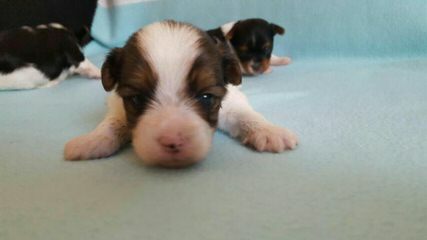 We have beautiful pure bred Biewer Terrier puppies. Our dogs carry champion lines and are all health checked. 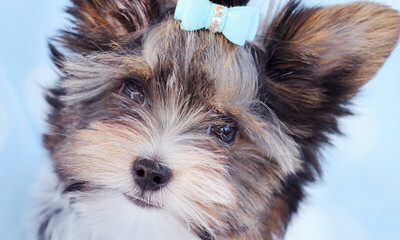 We register our dogs with BTRA – Biewer Terrier Registry of America- the premier Biewer Terrier registry. Biewers make excellent pets and are great companions. 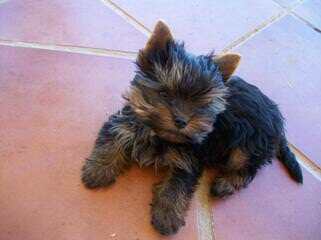 Beautiful, healthy and the best socialized Biewer puppies and dogs you will ever meet. 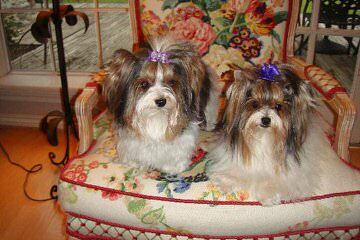 Our Biewers are health checked, potty trained, doggie door trained before leaving home. 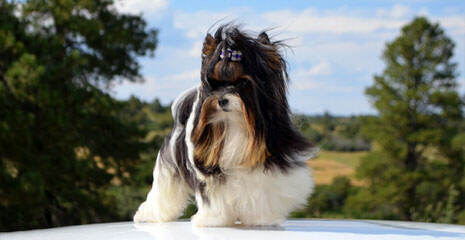 We show our dogs in the rare breed venues. We also contribute and participate in Biewer Rescue. Puppies are available occassionally. We bred for quality, not quantity. Visitors are welcome to see our dogs –all live indoors. We only bred Biewer to Biewer.